We know that a lot of you guys have long ditched paperbacks in favour of e-books. It's just so easy to quickly go online for a quick romance fix. But what device is your favourite for reading? E-reader, phone, tablet? In recent years e-readers have waned in popularity a bit as a lot of people use their smartphones and tablets to read books, but that doesn’t mean e-readers are going away as only recently, Amazon released a new line of e-readers. On the other hand, reading on a phone or tablet means that you have access to all kinds of multimedia not just books. And there are actually a few tablets and phones out there which work super well as primary e-reading device. Deciding on which to use can be quite a hassle, so we took the time to create a list of the best e-reading devices available and listed their unique features, pros and cons. The Amazon Kindle Voyage is one of the best readers money can buy. At a price of $209 for the standard reader and $290 for the 3G enabled reader. The Kindle Voyage is a slight upgrade from the Kindle Paperwhite which is only $119. The Kindle Voyager makes reading very convenient as its flattened bezels make it easier and more natural to turn pages without having to worry about your fingers hitting the bezels as it moves across. The screen is also way smoother than what is found in most other readers, and with its automatic brightness controls, it makes reading simply convenient even at night where it slowly dims brightness as your eyes adjust to the dark. 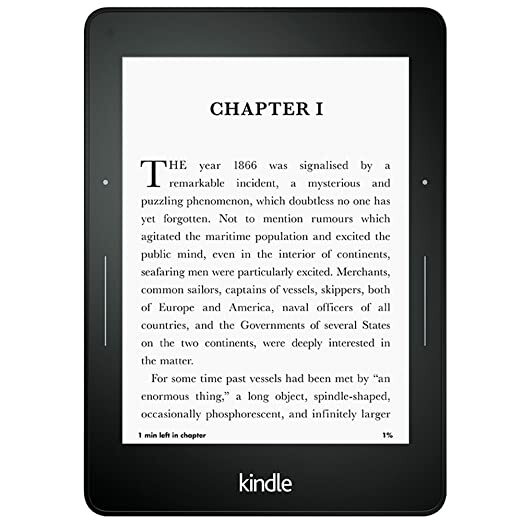 Several persons complain that the Voyage is just too expensive considering that the Paperwhite which cost $80 less shares several features with it. However, if money is not a factor for you, then the Voyage is just the right choice for you. 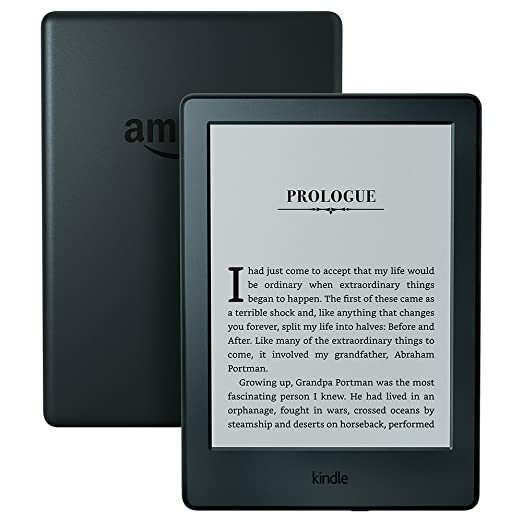 Amazon’s most popular e-reader, the Kindle Paperwhite, draws extensively from Amazon’s other e-readers, resulting in one of the best quality readers in the market. It’s very easy to read and navigate through its menus, and it doesn’t have physical buttons which honestly is quite a nuisance as you have to tap the screen to access a secondary menu bar to access search functions then return to the homepage. Basic tasks like scrolling through pages are fast, simple and free of noticeable slowdown. From the Paperwhite reader, you can access public library collections and subscribe to your favorite newspaper, magazines, fantasy novels and much more. Reading with this reader is very convenient as there is virtually no pixelation on individual letters. If you require a reader with a backlight and is decent overall, the Nook GlowLight is just the reader for you. It’s not as heavy as the Amazon KindlePaper white, and it has a notable high-resolution display. Despite its relatively low price, the Nook GlowLight has a 1448 × 1072 display and a pixel density of 300 ppi. The Nook GlowLight has a few shortcomings however as page flips usually required a second or two to load successfully. 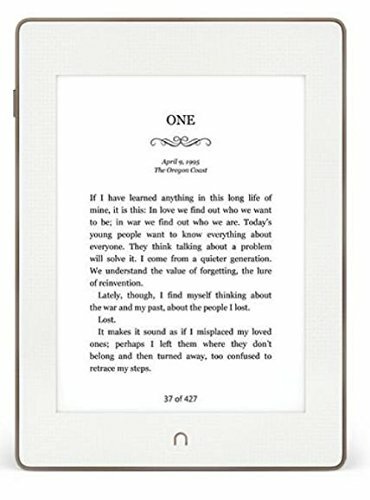 Readers looking for an affordable eReader will find the Nook GlowLight a completely versatile and complete package. Technically, the Kindle Oasis is probably the best eReader you can get and Amazon did a great job with its new design which is uniquely small, light and ergonomic. It also comes with a neat cover which offers protection from dust and water. 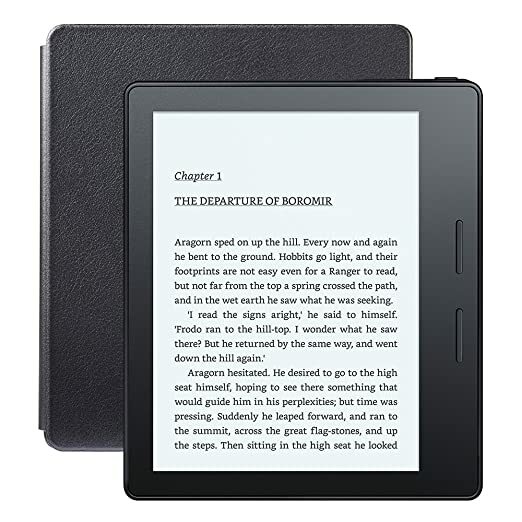 Its battery life is another plus for this reader, and its reading interface is cleanly laid out, very unlike the Nook GlowLight, making it easy to browse through you eBook library and Amazon’s menu screen. It’s easy to see why the Kindle Oasis is easily the best eReader out there and with its stellar design and excellent screen, the Oasis exceeds the software and hardware expectations of most eBook readers although its price tag may prove a hurdle for some. But if cost isn’t an issue, the Oasis is highly recommended. 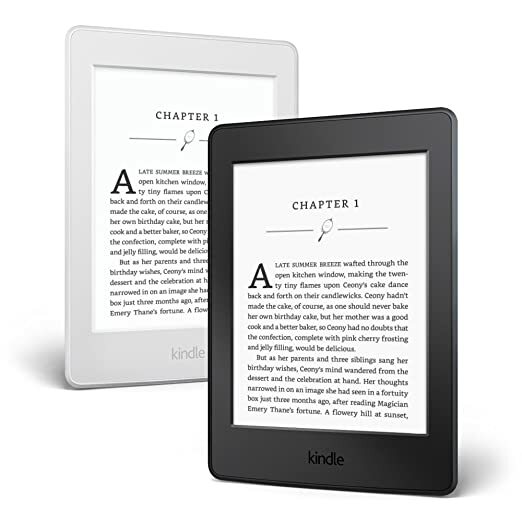 If you’ve never used an eReader, the low-priced Kindle is an excellent point of entry as it does the basics just as well as any other reader. With this reader, it’s easy to focus more on reading as you don’t have to worry about distracting games or apps. The Kindle 2016 does have some noticeable flaws; its resolution hasn’t improved, it still has a 6-inch screen with a pixel density of only 167 ppi while readers like the Voyager and Oasis hover around 300 ppi. Its Kindles screen quality is good for reading although the sharpness of the displayed text is a step below higher-end models. If you do a lot reading outdoors, the water-resistant Kobo Aura should top your shopping list. Also, with the Koba Aura’s HD screen resolution of 1430 × 1080 and its 265 ppi, books and newspapers display with excellent clarity. The Kobo Aura also has a more flexible storage option compared to most other readers as it comes with an internal storage of 4GB. The Kobo Aura, however, lacks subscription options from major newspaper, and you can’t read books from competing brands like Amazon, but it’s compatible with about every other file format. 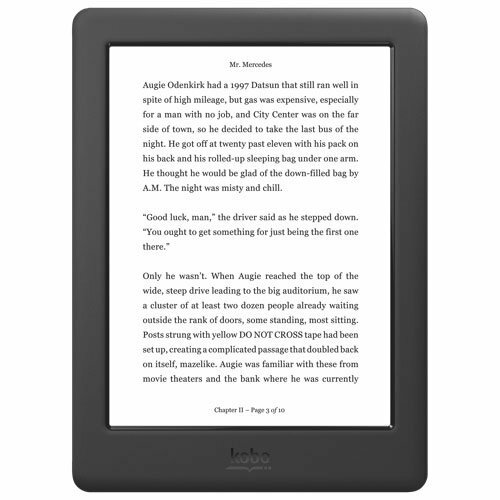 The Kobo Glo is a quality product with a midrange price tag. Its display is one of its strongest points, and it comes with a screen size of 1448 × 1072 and a pixel density of 300 ppi. Reading on this network is extremely comfortable and the onscreen text is sharp and has almost no pixelation. Its reading interface is cleanly laid out; readability and navigation settings are housed in a discreetly positioned toolbar at the bottom of the screen. Kobo’s book catalog can stand toe-toe with other stores from competing eBook reader manufacturers, and you can find books from your favorite fiction and fantasy book writers. 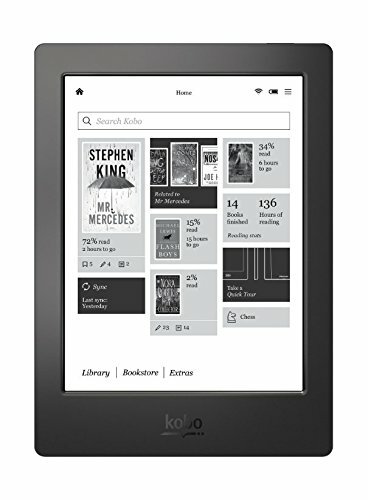 The Kobo Glo has a lot to offer if you require an e-reader although you might have some issues with premium content subscription from some major newspapers. It, however, has a fantastic price tag and an incredible display. The reader in the iPad Air 2 is perfect for reading books in all most formats. Its resolution stands head-to-head with readers from the iPad 3 and 4 and its small bezel on both sides of the screen provides you with a comfortable reading experience. Unlike most strictly eReaders, the iPad Air 2 has enough memory to store all your books. The iPad Air 2 is the world’s slimmest tablet which makes it easy to carry about. 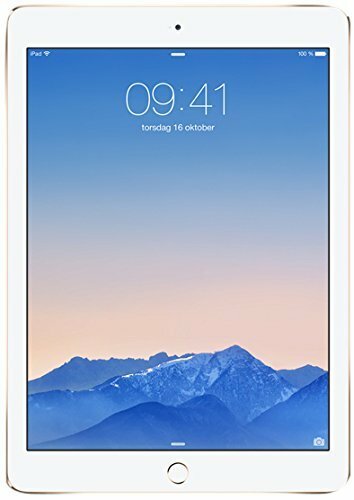 With its retina color, the iPad Air 2 has more vivid colors and better contrast, creating a rich on-screen experience for users. It also has 2.5× faster graphics which means your books load even quicker and look even more vibrant. 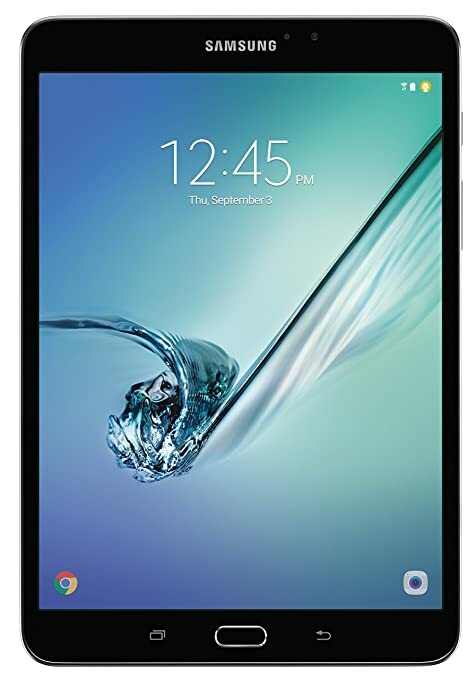 For an all-inclusive mobile device with a good reader, the Samsung Galaxy Tab S2 is just what you need. It has a 32GB memory, 16GB more than what is found in the iPad Air. Its weight, design, and software make it one of the best tabs to date. The beams of light from the Galaxy Tab S2 when reading books near the bottom of the screen and its blue light can be quite difficult to adjust to at night and affect sleep time. Its screen resolution is 2048 × 1536, higher than that of any eReader. It has a small bezel which means you can read quite conveniently on it. 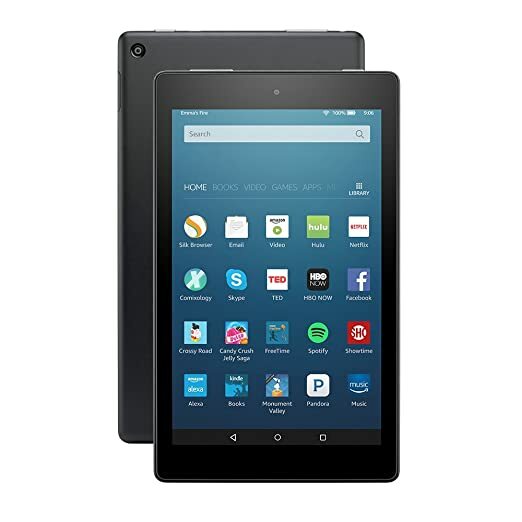 The Amazon Fire is an upgrade Amazon is making from their e-readers as the tablet is built for reading and doubles as a multimedia device for videos, music, email, web browsing and a host of other things that can be done with Android apps in the Amazon play store. Its touch screen is very smooth and responsive and can be viewed from a wide range of angles. It also has a high resolution making it a great device for reading comics and highly colored ebooks. Its backlit screen may be quite hard on the eyes when reading for prolonged periods but when you tone the brightness down, it’s much better. The Amazon Fire is less than ideal for reading outside, a downside which regular e-readers have over it. The device is however highly portable and supports a broad range of reading materials.